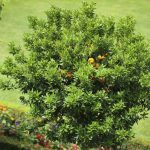 The lemon tree is 3 to 4 years old and has grown to a height of 4 feet. It is flowering well but there is no setting and the flowers fall off. Please advise as what needs to be done. In the secound case, the tree is 4 to 5 years old and growing well but does not flower. Please note that in India we do not get ready made mix fertilisers and have to get the chemicals separately. When you get blossoms but no fruit, or when blossoms drop, this is normally an indication of poor pollination. If there are not enough natural pollinators around or if it's grown indoors, the tree will have difficulty producing. This is why we sometimes have to intervene by hand pollinating. Just use a small paint brush and swirl it around the inside of the flower and repeat on all the flowers on the plant. 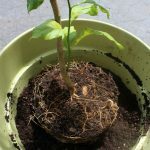 For non-blooming issues, you may simply need to give the tree a high phosphorus fertilizer or add bone meal to the soil to encourage blooming.